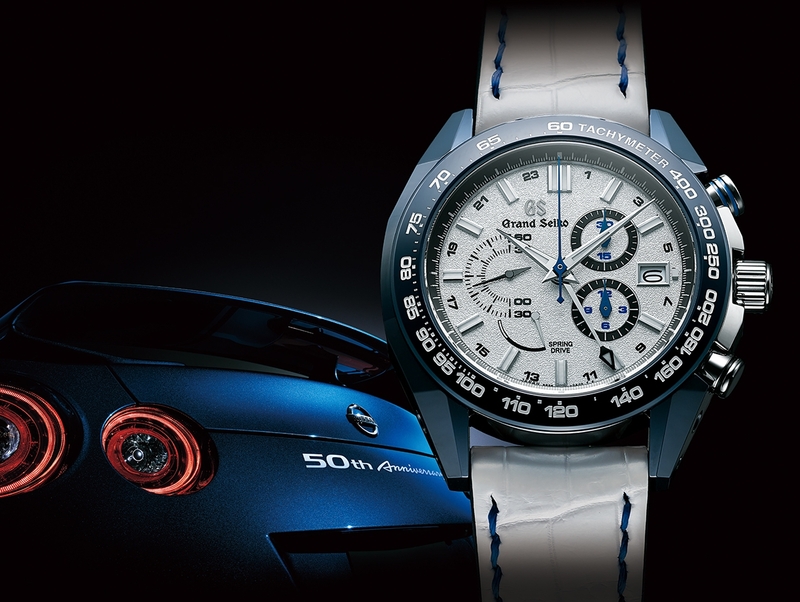 A new creation in the Grand Seiko sport collection pays homage to an emblematic Japanese classic, the NISSAN GT-R which celebrates its 50th anniversary this year with a very special edition. This Grand Seiko watch is at the leading edge of sports technology, with its Spring Drive chronograph calibre and a ceramic case. 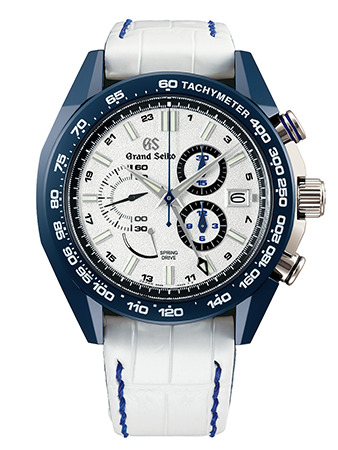 It will be available in June at selected Grand Seiko and Seiko Boutiques, and selected retail partners across the world. The Spring Drive movement can be seen through the sapphire crystal case back and the GT-R anniversary emblem in 18K yellow gold is set into the oscillating weight to symbolize the watch’s enhanced accuracy level of ±0.5 seconds per day. 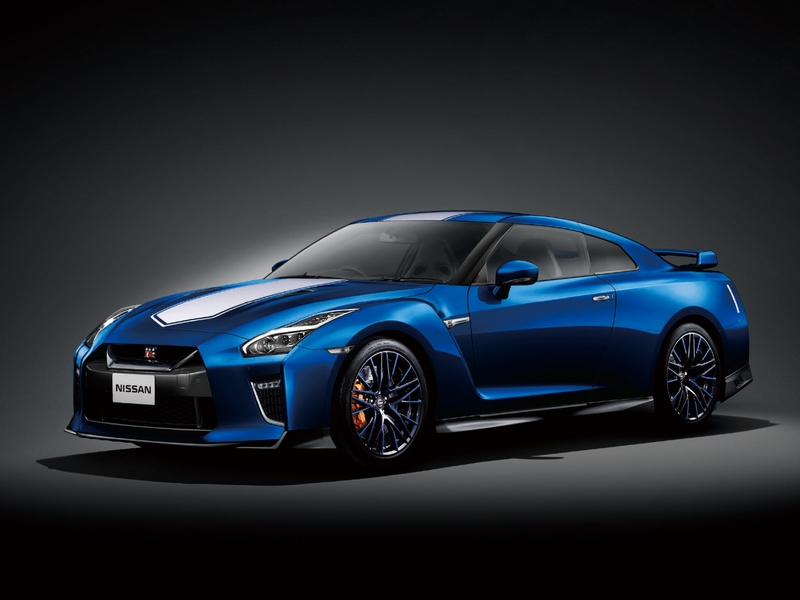 The stopwatch measures elapsed time for up to twelve hours and is the perfect calibre with which to celebrate the twin anniversaries of Spring Drive and the NISSAN GT-R.